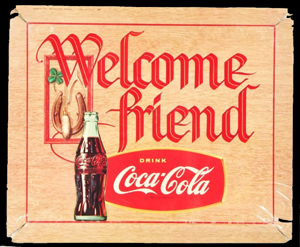 [05.02.15] Gallery for my Coca-Cola Collection and Trading Cards are now updated. Still thinking if I will upload the rest of the items that fall under the category xx_Not-A-Coke_xx. A few more tweaking for the site design. [01.13.15] Almost done with the new Gallery of Coke items. So I'm taking down the old one. Currently working on the Trading Cards upload. [12.10.14] Still uploading new photos of Coke items. May have to upload first then edit the descriptions later on. Galleries are still under construction..
[11.26.14] Currently updating my site for the latest Coke items. Stay tuned for the new Gallery and the latest count of items. 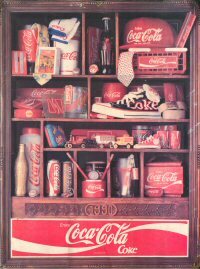 ::VIEW:: The Coca-Cola Collection Gallery for each Coke item. The 2nd photo is the very first Coke can that I have. I'm not quite sure what year this came out - I'm guessing circa 1980s (1986 maybe). This is a 355ml can with a triangle-shaped lid and was worth Php 8.35 only. Click here to enlarge the calendar. Thank you very much! Maraming Salamat! [05.02.15] Still updating the list of people who contributed to my collection. Wanna see your name here??? SEND A COKE!!! That in all things God may be glorified.